RULAND Manufacturing has a complete line of shaft collars and rigid couplings, plus a full offering of motion control couplings, now available in Australia from Naismith Engineering . Nomar shaft collars and rigid couplings are available in one and two piece clamp-style designs. 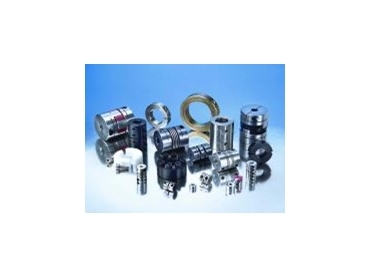 Threaded bore collars and special collar and coupling designs are also offered. Nomar collars and rigid couplings are manufactured in aluminium, carbon steel and stainless steel. Plastic shaft collars are also available. Ruland's motion control coupling offering includes five types, each featuring zero backlash: Flexbeam beam couplings, Belflex bellows couplings, Paradrive oldham couplings, Discflex miniature disc coupling, and the Jawflex zero backlash jaw coupling. Each motion control coupling type has performance characteristics suitable for different application parameters. Ruland Manufacturing has been a precision manufacturer since 1937, making a variety of products including the valve that pressurised the spacesuit of the first American to walk in space.